Dordogne-based award-winning journalist-turned-novelist Fiona Barton's third book will be on sale from January. The Suspect is a psychological thriller about two 18-year-old girls who go missing on their gap year in Thailand. Her two previous books, The Widow and The Child were both based her experiences as a journalist working at the Daily Mail, Daily Telegraph and Mail on Sunday, when she often reported on headline-hitting crime stories. Her new book continues in the same vein, and again feature fictional journalist Kate Waters at the centre of the investigation. When Mrs Barton moved to a peaceful house in the countryside she and her husband, Gary, wanted a change of lifestyle and planned to run a bed and breakfast. However, for a long time she had had a story "cooking in her head". With more time to sit down and write, she began putting the tale of a missing child, narrated by the wife of the man suspected of the crime, down on paper. The Widow was a big success. It was published in 36 countries and made the Sunday Times and New York Times Bestseller lists. She continues to enjoy the good life in the southwest France, while continuing her new career as an author. 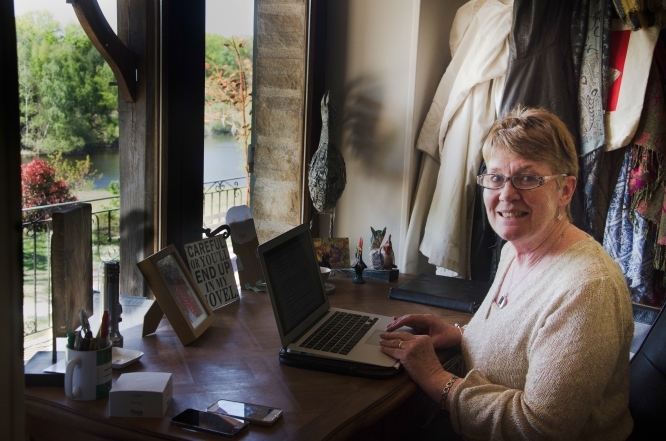 Read The Connexion's interview with Mrs Barton at her home in the Dordogne.